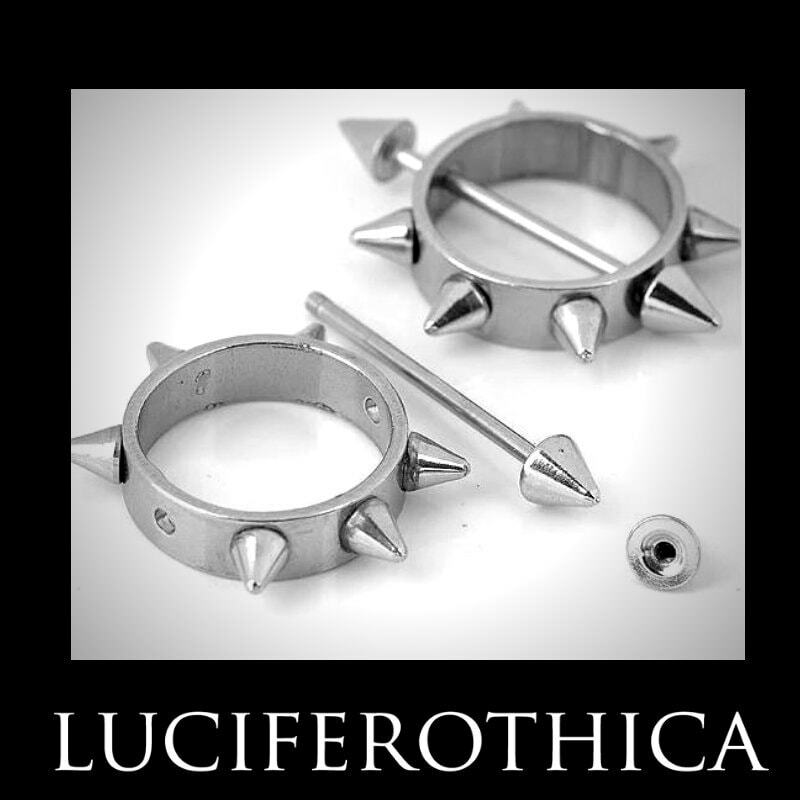 - Size: 1mm wide, 23mm total lenght with spikes. 17mm inside space. - Metal Ring surrounded with 6 spikes + 2 spike studs on the bar.